Everyone loves a unicorn. 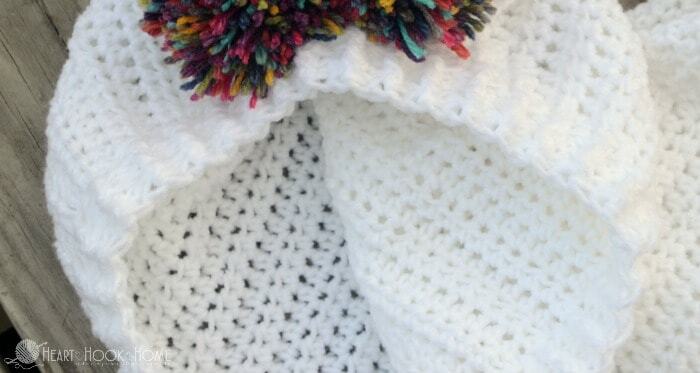 Make this child size unicorn hoodie with this crochet pattern for your little unicorn lover! I’ve been working on five different sizes of an adult hoodie crochet pattern. We’ve talked about it for a couple of weeks on the Heart Hook Home Facebook page and by popular demand I have made child sizes as well! This is the first child size unicorn hoodie pattern in the series, get ALL of the child sizes together in one file on Ravelry, and all of the adult sizes together on Ravelry. This pattern uses Walmart’s new Mainstays worsted weight yarn, although you can use any brand you like. I whipped up this unicorn hoodie pattern so quickly because I wanted to have a finished product for when I did my review on this new line of yarn. 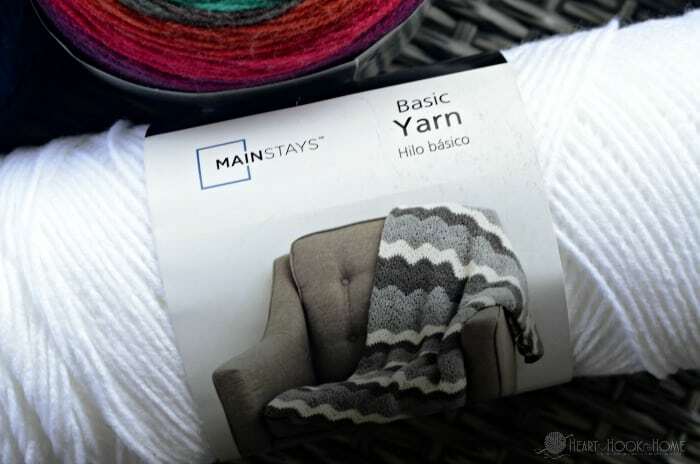 Read all about Walmart’s new Mainstays yarn right over here. All Heart Hook Home patterns are written in US terms. Please do not use my photos to represent your work, but you are fine to sell the finished product as long as you link back/reference my blog. Here are my policies on sharing my work. Thank you! 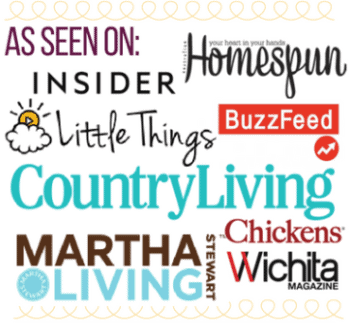 Get the preemie and newborn sleep sacks here. Get the infant size 6 month infant here. Get the infant size 12 month here. Get the child size 2/3T here. Get the child size 4/5T here. Get the child size 6/8 here. Get the child size 10/12 here. Get the ADULT sizes of this pattern (0 – 28W) here. Want all of the child sizes together? 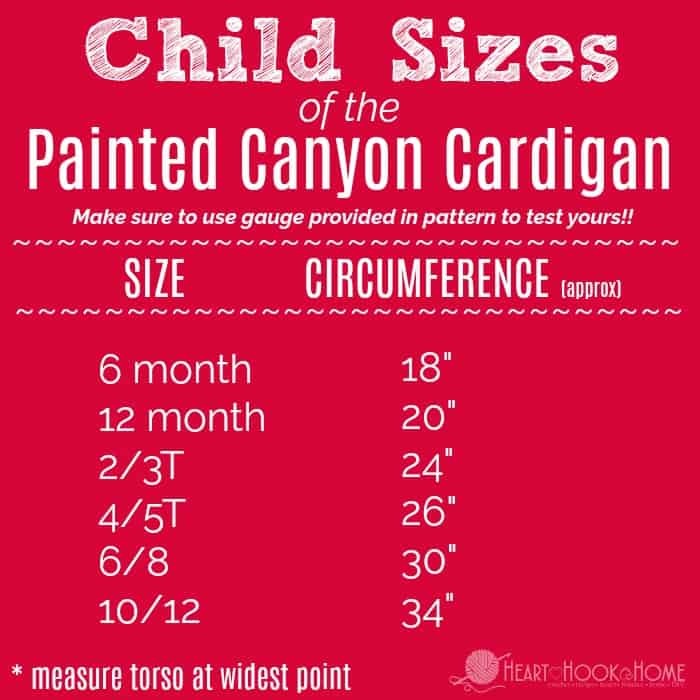 Grab all of the child sizes in one printable file here! Make sure you CHECK YOUR GAUGE! Of course if you wanted to leave the ears, the mane and the horn off you’d have an adorable crocheted hoodie! A video of me making this cardigan from start to finish can be found on YouTube here. This is NOT a full tutorial, instead you’ll follow along using the stitch counts per the size pattern YOU are making. The video shows construction, how to plan your colors and the basics of this pattern. Use stitch markers and mark 25 sts in from each side to start armholes. Attach yarn at left stitch marker with sl st. Attach yarn at right stitch marker with sl st. Attach yarn at far right with sl st. Fold front sides in and line up the edges of the top to sew the shoulder. Starting at the outside, sew front to back for 10 sts on each side. This will leave 15 unsewn stitches on both fronts and 14 unsewn stitches along the neck for a total of 44 stitches. Attach yarn at what will be the right lapel. Mark center two sts with stitch marker (move them up each row to the new center). Fasten off leaving a long tail for sewing. Fold two sides together and sew straight back to close the hood. Attach yarn at bottom right corner. 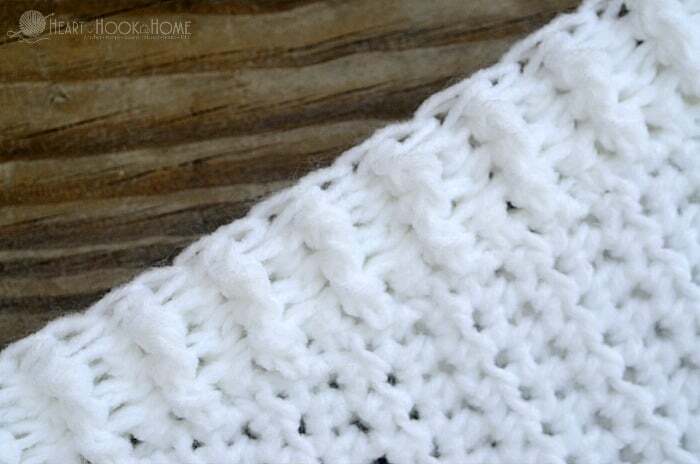 This tutorial will help with the edging stitches if you are unfamiliar with them. Row 2: Ch-1, * fphdc in next, bphdc in next * repeat between * * around to end. Rows 3 & 4: Ch-1, fphdc around previous row’s bphdc (to create ribbing), bphdc around next fphdc. * fphdc around next, bphdc around next * repeat between * * to end. Attach yarn at bottom of armhole. Do not join, work in spiral instead using stitch markers to note first st of each round. Slip st to top of next st. Fasten off and weave in ends. Fasten off leaving a long tail for sewing. Place bottom edge of pocket 12 rows up from bottom hem and 5 sts in (not including the edging sts). Sew into place. Repeat on other side. You could be done now and call it a plain ol’ hoodie orrrr…. If you like, you can continue to make the horn taller by continuing sc rows until desired height is reached. Stuff the horn (making sure it’s pointy!) and sew onto center of hood. Use the tail and wrap it around the horn to give it the spiral effect. Weave end in at the point, helping it to become even more pointy. Form the ears (fold them in a bit) and sew to either side of horn. Add rainbow colored mane (or whatever color you want). I hope you love this pattern as much as I do! I am working on additional sizes (child AND adult) as we speak, and those will be added to Heart Hook Home and on Ravelry as soon as I get them finished. When you make your own unicorn hoodie, I want to see photos! 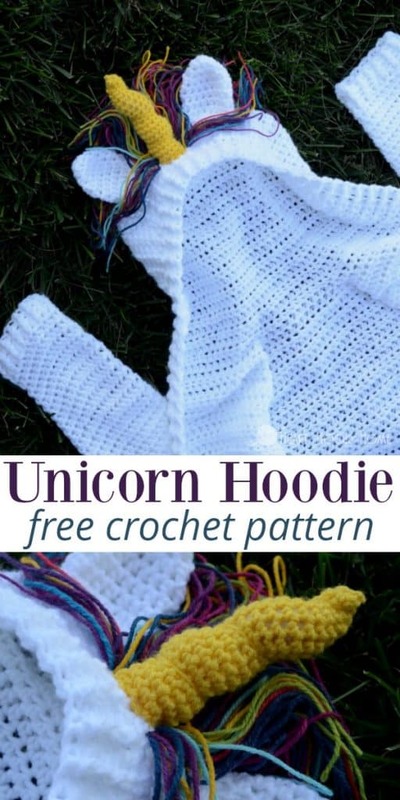 Share photos of your unicorn hoodie with me by tagging @HeartHookHome on Instagram and Twitter, and by sharing in the Heart Hook Home Crochet Community group on Facebook! I love this pattern. I do have a question. Is there a tutorial on how to add the horn to the hoodie as well as the colorful mane? Thanks again for such a lovely and easy to follow pattern. I'm going to attempt the 6/8 without a hood. Would i do the trim/neckline differently or just go around with the trim that's on the pattern? TIA! I just made one in 6/8 as well. I added 10 stitches to each row to make the lapels bigger and for the neck I followed the pattern for the hood up a few rows til it was where I liked it. It turned out absolutely ADORABLE! Hi Cindy! I would make the largest chhild size or the smallest adult size. They are very similar. Hi Nancy! I am so glad that you are enjoying the pattern! Sounds like you are making good use of it! Happy crocheting! From watching the video I realized I have a much tighter stitch than you. So I just added a couple extra rows here and there and it turned out great! She loves it! Thank you for the pattern! I'm completely lost on the directions for the shoulders. Hi, Did you sew up the shoulders? After you sew them you should have the stitch count, then work up on the hood from there. I think I might have miss understood your instructions. I'm on my second hoodie. When starting the hood it says "hdc in next 15 sts, hdc2tog (in the same 2 sts as shoulder seam) hdc in next 14 sts, hdc2tog (in the same 2 sts as shoulder seam) hdc in next 15 sts (46)" Doesn't hdc2tog mean 2 together so it would be 42 not 46 stitches? Yes I get 3 x 5.5. Did u make it anyway? I didn't we n answer fo= the sleeve dilemma. Where do the other itches comes from. Also is the sweater suppoed to be really long? Mine looks like a dress. Also it doesn't lay right at the hood attachment. I'm making this as a ]present and right n[w I think it's ready for the trash! Can you help me? I 'm a% the sleeves now. Do I hdc 2 times to add the stitches? Help! I am at the sewing the shoulders together part and am totally confused as to what to do and what it should look like. Any help would be most appreciated. I’ve never attempted clothes before but this was too cute to pass up! I made this hoodie, well done on your instructions and video's, it must have taken you lot's of time and effort to write this pattern for many sizes, you are amazing! I am going to share this on my face book page. So if you'd like to see the finished hoodie, I'm at catsrockincrochet on fb, a really big thank you! I may just be misunderstanding but for the center piece (working child 6/8), is the yarn being attached into the same stitch as stitch markers? Or inbetween? Because with the markers included that is 32 stitches making the first row 34 total. Just trying to decide if i am counting wrong. Thanks! Yes in the same stitches as the stitch markers. How exactly do you do the mane? I feed the yarn through like a latch hook, and then tie it off. Hope that helps! What size hook do you use for the 6-8 size? Hi Lisa, I use the J/6mm hook for all of the patterns. Hope that helps! I want to make a size 4t with Mandala yarn. Would i go down a hook size and go up a pattern size to 6/7? What hook would you recommend? Thank you so much for your pattern! I just finished one with Mandala and found that using the 6/8 pattern with a J hook gave me about a 4T size. Hope this helps you! Ashlea, you state on your women's Hoodie patterns that the sizes run larger; do they children sizes also run large? How would you make it a bear or something for a boy. I'm a bit confused with the sleeve first row. If the front side has 16 rows and the center back has 16 rows when you join the shoulder that makes 32 stitches around. Under sleeves it says HD each stitch around (36) where are the other 4 stitches? Am I missing something? Ashley hi I am looking for a circular cardigan for a size 6-8 kids.... 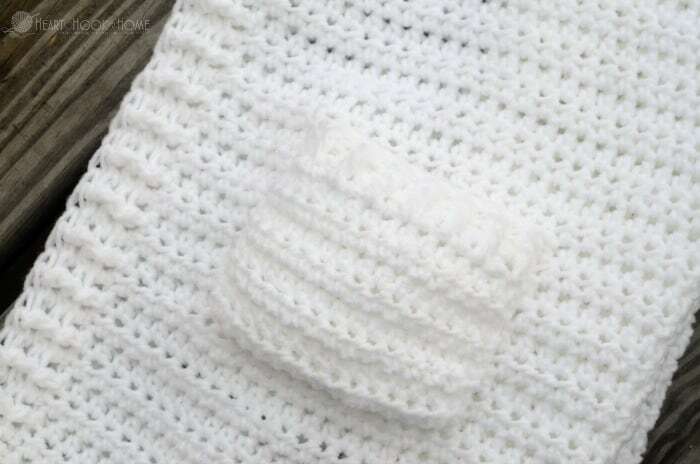 I live the jacket you have posted for kids but the sizes are way too small- Let me state that you are a talented young lady and certainly an asset to all those that crocheteers.. any input would be greatly appreciated / thank you!!! 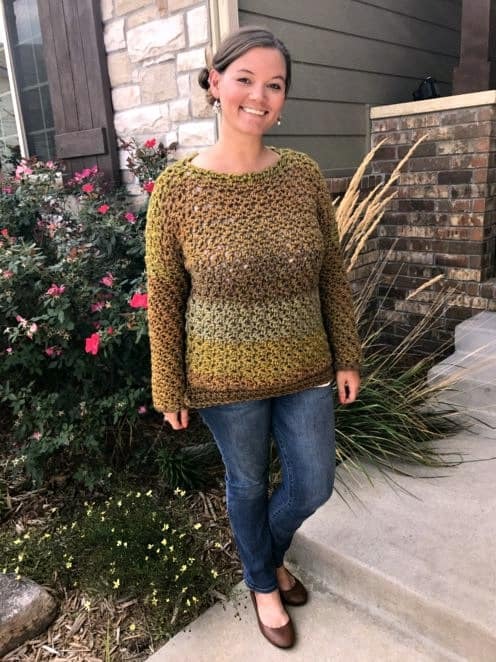 I am reading through the pattern and am confused by how the sleeves work up. Any chance you had photos of those steps?! Confused myself on the sleeves, where are the 36 stitches when the sleeve was only 25? Any special way to close the sleeves? Ashley, I really confused myself with my first comment. I am working on the 6-8 unicorn hoodie and am now stuck on the instructions at Shoulders - HELP! Ooops! I thought I had responded already. You'll take the two front panels and fold them over the front (they'll overlap but you'll only sew 10 stitches in from each outer edge) then sew it up. Ashlea, I'm almost done!!! Just need to add the sleeves, pockets, horn and mane. I've seen other comments and am glad I wasn't the only one confused on the shoulders. Must have overthought it... Really love how easy this pattern is, wondering if you have any vest patterns before I modify this one to not have the hood or sleeves. I will post pictures when I can.